Whether you’re right at the start of your career or you’re looking for a new challenge, our people work across disciplines including ecology, heritage, engineering, volunteer management, project management and many more. Student volunteers play an important part role at the Trust. Our teams work closely with university students, both on long-term placements and for shorter stretches of time. Many student volunteers are looking for professional experience to gain that all important step up the ladder, others are hoping to develop their leadership skills and some just enjoy a breath of fresh air. At the Trust we’re proud to have so many dedicated volunteers working with us. Karen joined our Towpath Taskforce team in Sefton because she wanted to give something back to the community, but she discovered that volunteering with the Trust led to so much more than that. Karen has health issues but in a short space of time she grew in confidence and found that the fresh air and exercise helped her to control her illness. In just seven weeks Karen secured a fulltime job as a direct consequence of her volunteering work. For those who already love working in the great outdoors but are looking for a new challenge, we have roles and opportunities to help you do just that. Hayley joined us as a heritage trainee from a career in horticulture. She wanted to carry on working outside, but in an organisation that helped her to learn new skills and feel like she was making a difference. As well as brickwork and carpentry, Hayley enjoyed learning about the fascinating history of our canals and being part of the team bringing them to life today. It takes a lot of hard work to make sure that our canals and rivers stay special. That’s why our colleagues and volunteers are dedicated to making our waterways the best places they can be. From ecologists to engineers and hydrologists to historians, our experts work together to ensure that every time you step onto the towpath you experience the best the waterways can offer. An enticing natural environment, a refuge where nature and history can exist alongside each other, ready for everyone to discover. 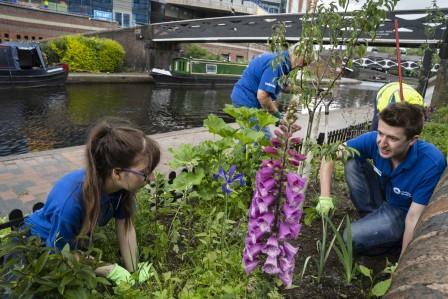 Could you be part of our team, working to transform canals and rivers into spaces where local people want to spend time and feel better? Our waterways are a 2,000 mile green-blue ribbon which connects wildlife habitats, protects heritage and builds stronger communities. We know that our work will bring wellbeing opportunities to millions of people across England and Wales, but we also suspect that joining us will make you feel pretty good about your working week as well. We have professional roles, seasonal roles and volunteer roles (including Lead volunteer roles) available right now. 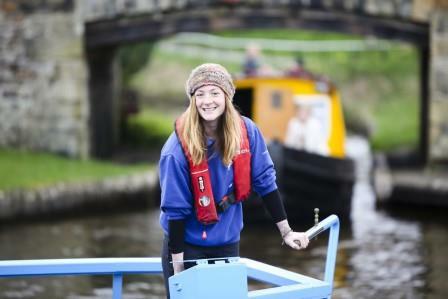 To find out more go to www.canalrivertrust.org.uk or receive all our latest news, offers and more by signing up to our newsletter.